‘You’ll know it when you see it.’ That’s a saying which could very well hold true as to whether your loved one is showing signs they need more help than can be provided at home. But while you may have a gut feeling that its time, a decision this complex and emotional requires more than instinct for your family and your loved one to feel at peace with it. Having a true understanding of what assisted living offers, as well as common signs your loved one may be ready can help you make a confident decision. First, let’s talk about what assisted living is and what it is not. Assisted living includes housing, onsite care and support with activities of daily living while helping residents maintain their independence and enjoy life. 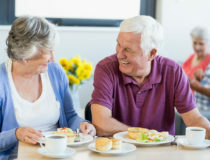 Benefits of assisted living are that you receive help with bathing, dressing, eating and medication as well as onsite medical care when needed. Residents have the convenience of a homelike setting without the worry of home upkeep, cooking, cleaning and yard maintenance. Social opportunities are also integral to daily life in an assisted living home with a range of scheduled programs, activities and outings. Assisted living is not for those with medical conditions that require round-the-clock care or specialized care such as Alzheimer’s disease and dementia, although skilled nursing and/or memory care may be on the same campus. The reality is, there’s not always one turning point that signals ‘this is it,’ it’s time to move to an assisted living home. Rather it’s more commonly a gradual process, so gradual in some cases that you may not even notice it at first. Is your loved one leaving doors unlocked, opening them to strangers or wandering? Have you noticed signs of kitchen fires or appliances left on? Is the heat on in the summer or air on in the winter? Does your loved one get disoriented in familiar places? Have they fallen, or are they at high risk due to eye conditions, balance, medications or safety concerns in the home? How close is help in an emergency: health, fire, natural disaster or other? Has your loved one experienced sudden weight loss or gain? Do they have difficulty getting up from a chair, navigating stairs and/or around furniture? Have they had a recent health scare or trouble recovering from common illnesses such as colds? Are chronic health conditions getting worse or harder to manage? Is your loved one suddenly unkempt? Are clothes stained and dirty? What social opportunities does your loved one have? Are they avoiding activities which they previously loved? Do they have active friendships? Is it hard for your loved one to keep up with yard work, house cleaning, laundry, shopping and other chores? Can they shower, dress, use the bathroom and manage their medications unassisted? Are there unpaid bills, have they fallen victim to scams? Is there unopened mail, newspapers or magazines? Are plants dying or do they appear neglected? Are their pets well taken care of? Is their home in disrepair? Have you noticed dents on the car? Have there been accidents or close calls while your loved one was driving? Have you noticed dangerous driving: too fast/slow, tailgating, drifting across lanes or confusing the gas and the brake? How is their reaction time and vision? Are they easily distracted or have they gotten lost on the way home? How well is the car maintained? Has your loved one run out of gas? Are there stale, expired foods in the pantry or excessive amounts of particular items? Does your loved one live on TV dinners or take-out, opting to avoid cooking freshly prepared food? Beyond these items, the emotional state of your loved one should carry as much, if not more weight, than the signs above as isolation and depression factor heavily in their overall health and well-being, putting them at potentially greater risk of health decline. If you’re still unsure if it’s time for an assisted living home for your loved one it’s OK to get a second, third or even fourth opinion. 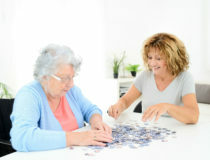 This may be one of the biggest decisions your family makes, so don’t hesitate to talk to friends, their doctor, a social worker and consider scheduling an in-home assessment from a reputable assisted living home near you.